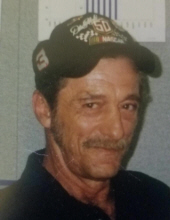 Richard Stanek, 72, of Napoleon, Ohio, passed away peacefully on Saturday January 26, 2019 at his home. He was born on March 26, 1946 to Charles and Lillian (Peroutka) Stanek of Lincoln County, Missouri. He married the love of his life, Shirley (Riddle) Stanek on April 12, 1969, who preceded him in death on November 30, 2018. Richard proudly served his country in the United States Army from 1966 to 1968. He then work at General Motors Powertrain Defiance Foundry for many years until retirement. Richard enjoyed spending time with his friends and family sharing stories and memories. He liked hunting, fishing and NASCAR. He liked to keep himself busy and was known for being a hard worker. Richard thought the world of his grandchildren and cherished every moment he got to spend with them. He will be remembered for his straight forward yet loving personality and his kindness. He will be dearly missed by all who knew him. Richard is survived by his children, Mark (Lisa) Stanek, Chris (Wendy) Stanek, Matt (Amber) Stanek and Alicia (Shawn Goings) Stanek; grandchildren, Ryne, Brendan, Alex, Courtney, Taylor, Jacob, Bryson and Talon Stanek, Ellie Searcy, Casey Tinsley and Peyton Goings. He is also survived by his sisters, Carolyn (Paul) White and Marlene. He is preceded in death by his wife of 49 years, Shirley Stanek and his parents, Charles and Lillian (Peroutka) Stanek. Richard wished there to be no services. The family is under the care of Walker-Hoening Mortuary of Napoleon. Memorials in his memory may be made to Heartland Hospice Services of Toledo, VFW Post 8218 of Henry County or Heroes in Action of Toledo. To send flowers or a remembrance gift to the family of Richard Stanek, please visit our Tribute Store. "Email Address" would like to share the life celebration of Richard Stanek. Click on the "link" to go to share a favorite memory or leave a condolence message for the family.